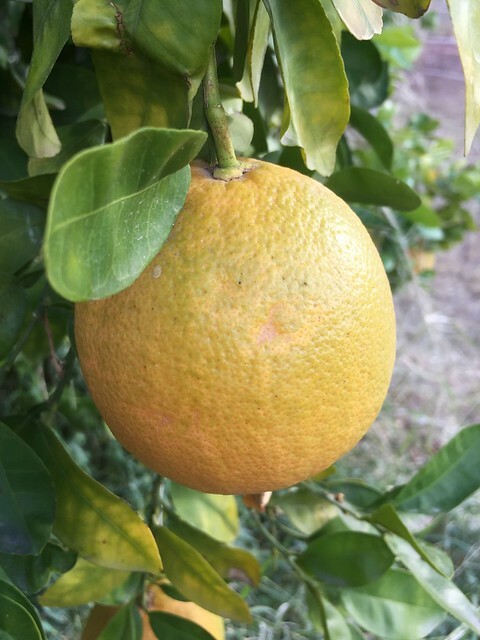 A grapefruit ripens at Robert J. Moody Demonstration Garden, Yuma, Arizona. Posted on February 3, 2019, in Arizona, Macro Monday 2, Robert J. Moody Demonstration Garden, Yuma and tagged Arizona, Macro Monday 2, Robert J. Moody Demonstration Garden, Yuma. Bookmark the permalink. 3 Comments. Please link for me again. That looks fresh and yummy.